Traveling in a city and finding that the audio guides for the museums and other points of interest are extortionately expensive? Need to stand in a long queue to purchase one, and not too happy about using equipment used by other people? MyWoWo is the solution you’re looking for! 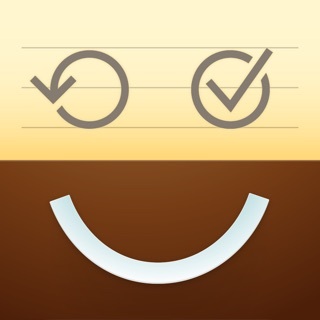 Download MyWoWo to your phone to enjoy more than 9000 audio files in your language! • NO content copied from Internet: the texts in our audio guides are original, and written by established authors from the field of art history and communication. • NO superficial audio guides. For each city, you’ll find hours of top-quality audio content. • NO nasty metallic voices: the content is read by professional, human speakers! 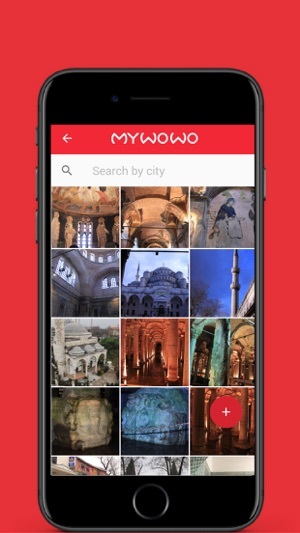 MyWoWo is more than just a simple audio guide for museums: it’s a traveling companion, an authentic, pocket-sized tourist guide; a simple, fun system to help you explore the wonders of the world. - You can download our audio guides with a WiFi connection and listen to them offline, without running up data roaming charges. - The audio files are practical to listen to, thanks to the simple, intuitive interface of our App. 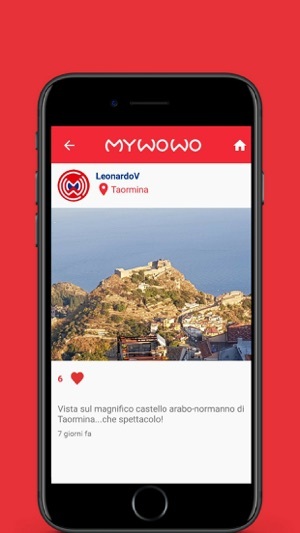 - MyWoWo content is divided up into files lasting just a few minutes, designed to give you a basic yet complete overview of the wonders you’ll be visiting. - For each point of interest, you’ll discover interesting anecdotes and little-known facts sure to awaken your curiosity. Others will be added over the coming months. 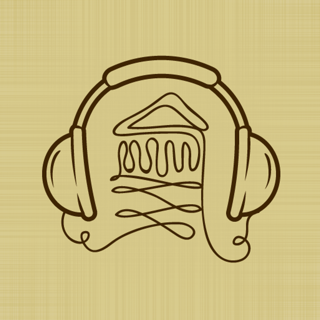 Listen to all the audio content free for 30 seconds, or purchase all the audio content of the city you're interested in at an exceptional price! AROUND ME: Use GPS to locate all the points of interest close by. SOCIAL GALLERY: Share your photos of the wonders of the world with the users in our international community. 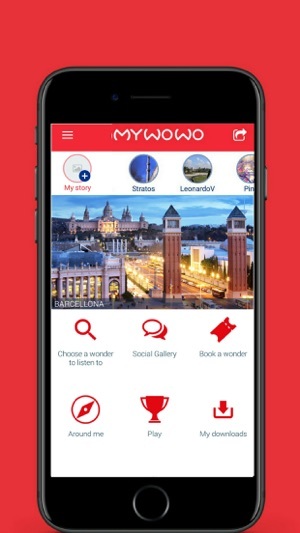 With MyWoWo, you can take photographs while you’re listening to the audio guide, so you can take home a memory of your visit without having to pause the audio. 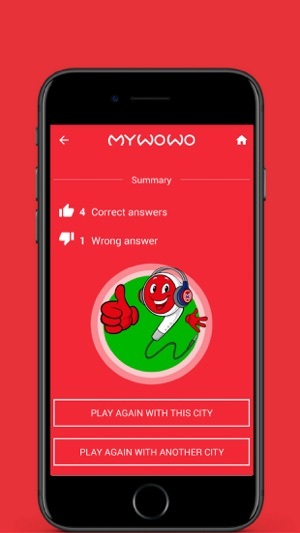 QUIZ: Challenge yourself or your friends and family with the MyWoWo quiz. Find out how much you know about the cities you’ll be visiting: see how many answers you can get right in 30 seconds! What are you waiting for? 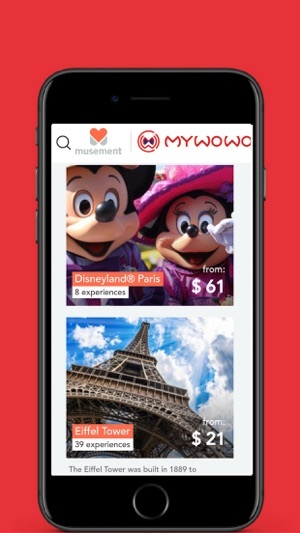 Download MyWoWo, visit the wonders of the world and have fun!